Split rattan in classic octagonal cane weave over frame. Warm mocha tone finish. 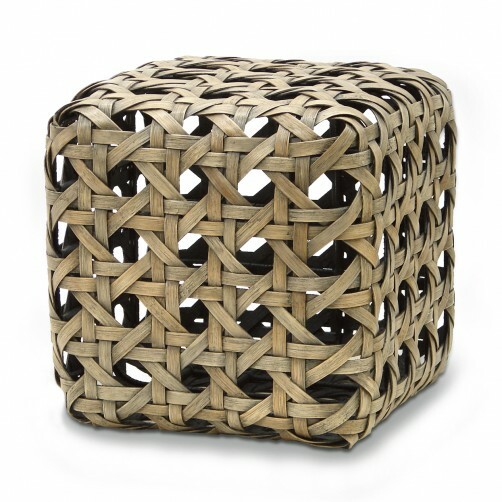 Use as stool or add glass for an end table. Use glass no larger than 24"d.